Panorama Tower will be the tallest residential building on the eastern seaboard south of New York. 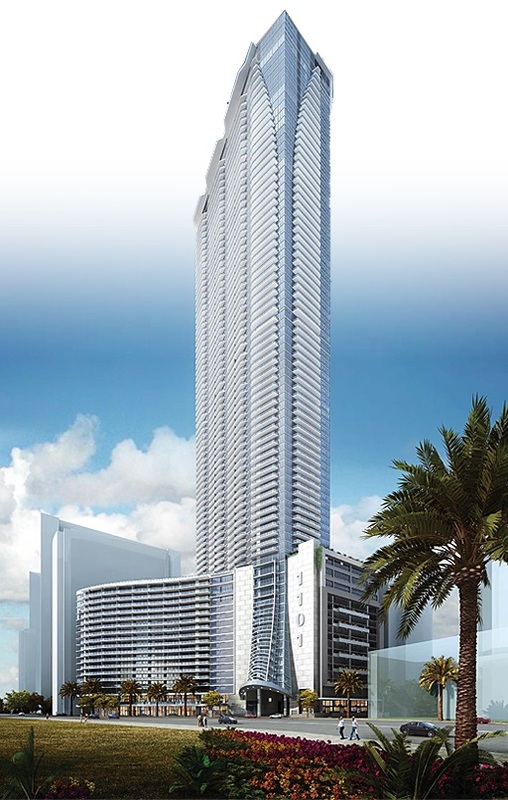 Panorama Tower will rise 82 stories over the Miami skyline, as an iconic, global landmark. 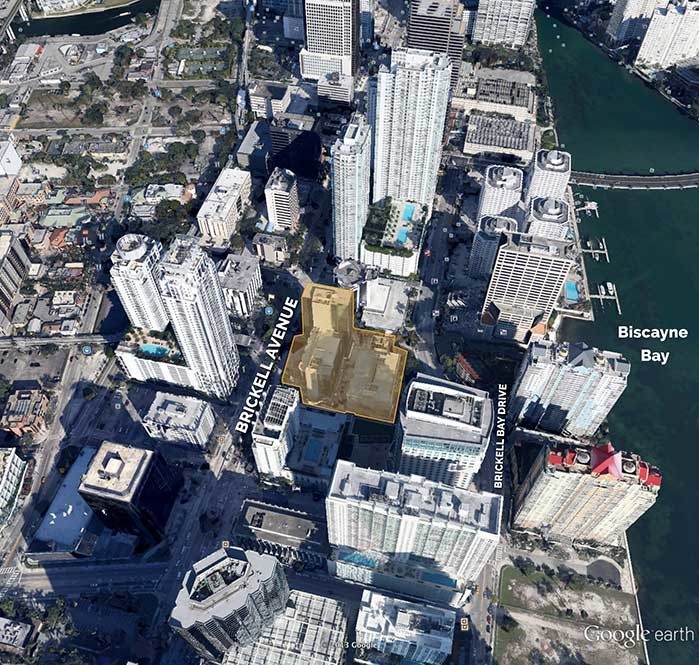 The mixed-use residential development will be situated on the largest parcel of property in the epicenter of Brickell Avenue, with a depth of 500 feet to Brickell Bay Drive. In total, the existing office towers and new building will represent approximately three million square feet of construction on the site. For more information call 786-344-8776. 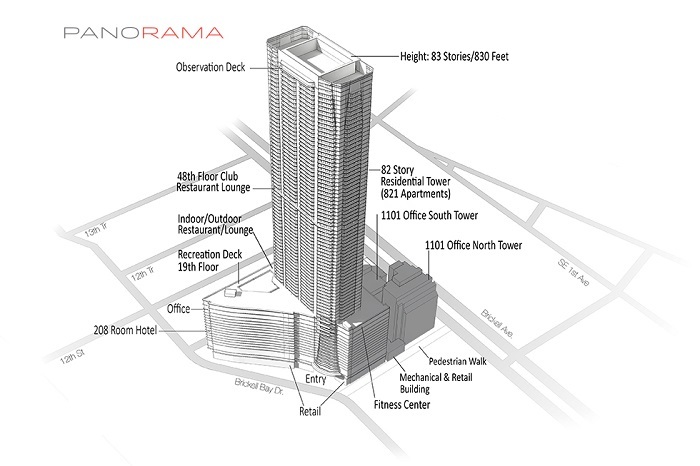 The Panorama Tower boasts more than 800 apartments which are for lease only. The spectacular, 82-story tower will rise to 830 feet, with an observation deck at the 830-foot level. The 19-story pedestal will contain over 100,000 square feet of medically-oriented office space with a teaching facility. Underneath the medical facility will be a 2,000 car parking garage. 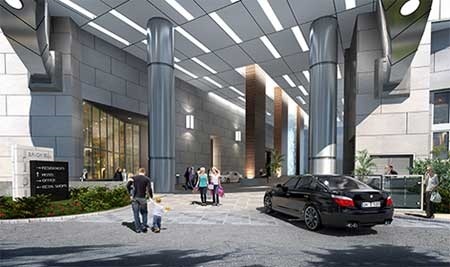 Lining the garage to the east on Brickell Bay Drive will be a 208-room hotel. Further, both the ground floor and 2nd level of the pedestal will include over 50,000 square feet of high-end retail outlets and restaurant space. 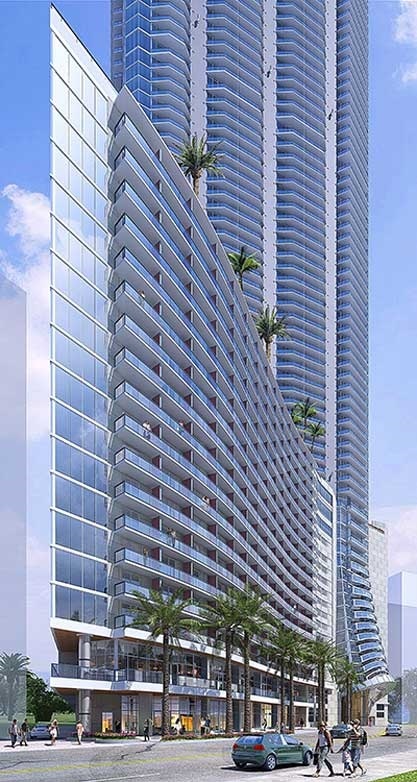 Panorama Tower will feature 821 luxury residential units and 128 hotel units. There will be 488 one-bedroom units, 267 two-bedroom units and 66 three-bedroom units. The location puts renters and tenants in close proximity to main access roads (interstate 95) and public transportation (Miami Metromover).